We have been providing stellar service to clients like Temple University, University of Pennsylvania and Drexel University for many years. We have been selected to decorate some of the city�s premiere charitable functions like the Heart Ball, Juvenile Diabetes, Children�s Hospital, Stroke Council and more. 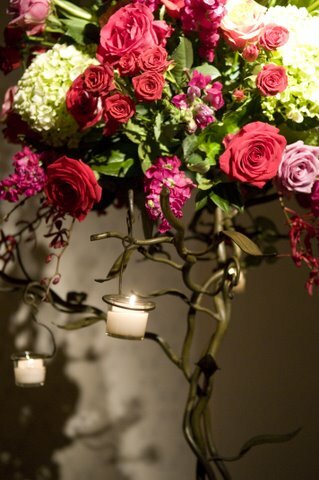 John�s number one piece of advice for anyone who is creating a special look for a party is Color! When you coordinate the colors and tones of your linens, flowers and lighting effects in a space it really gives you the biggest bang for the buck. Some people say � I don�t want flowers for my party I want something different, like a theme� but John feels that even a sharp, highly designed room with a specific theme or flavor needs the fresh snap of at least a touch of fresh flowers on each table. We are focused on decorating great parties and events. Whether you are having a personal celebration such as a wedding or a Bar Mitzvah or Bat Mitzvah, a corporate function or a charitable event or you are coordinating commencement for a school or university, we have a lot of experience putting your type of event together.